I've not been a big fan of the Calll of Duty series for a while.I think World At War was the last one that I really enjoyed. The story and plot of each one since has felt more and more sloppy, and the multiplayer is a messy give and take of features and abilities. That said, Advanced Warfare has struck the remains of a chord with me; one that I may be persuaded to follow. Lately I've been intrigued by the trailers and features I've seen. The story previews shown at E3 and the tidbits of information I've teased out here and there have left me more curious than callous. I'm used to the usual "person has nuke, person will unleash it on *name random major city* unless we all work together." It's a simple hook that has sold a lot of units for the franchise, presumably because the average consumer is buying the game for the award winning but tired multiplayer. In the future, the brofist and Iron guard have replaced all other greetings..
Advanced Warfare offers a few new weapons and perks to enjoy along the way, as usual. The biggest change comes in the form of "supply drops" which give players random loot from basic skins for armor, to more advanced gear and even legendary weapons. These will be quite rare, we are assured, are acquired through completing online matches. What I've seen of Advanced Warfare reminds me more of Titanfall, than any of the franchises' predecessors. From what I understand, that may have been intentional. 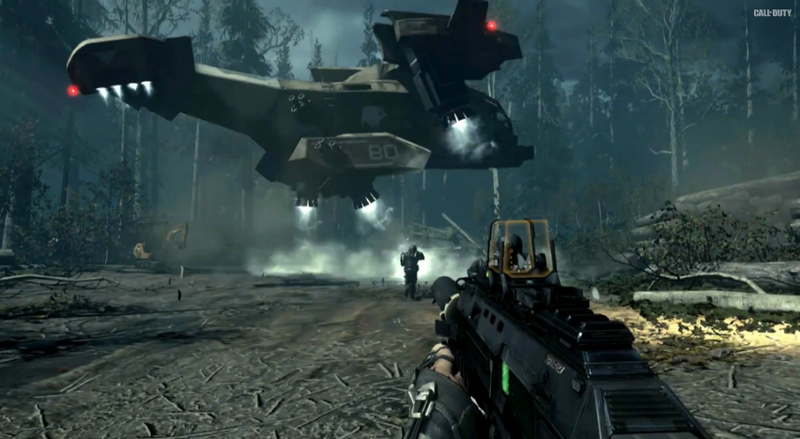 The swift movement of the player and even the look of the weapons bear a striking resemblance to those of Respawn's giant robot shooter that was the flagship title for the Xbox One. The new Pick 13 system is an *ahem* advanced version of the pick 10 system from Black Ops 2. Here, you have 13 slots that you can fill with whatever you want. Extra attachments for weapons, grenade types, perks, what have you. I was so worried that the R 101-C wouldn't make it into the sequel to..-wait. Hey! 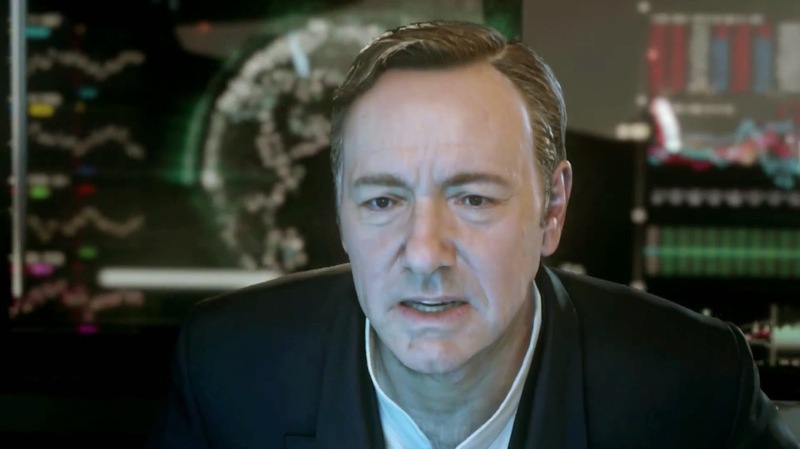 Advanced Warfare is the first release in the franchise since the announcement of the three year development cycle. This has been pushed as the greatest benefit to the franchise, allowing greater time to deepen mechanics and create new gameplay experiences for players. Personally, I'm hopeful that their announcement carries some truth with it, but I worry that the new development cycle will see a perpetuation of the franchises' greatest weaknesses. Call of Duty suffers greatly from a lack of consistency. Now made by three separate development houses, I fear the problem will only worsen. Features loved in one game are completely absent from the next. Though it hasn't been exactly admitted by Activision, I suspect that the majority of these omitted features are a symptom of staggered development. While one game is enjoying its time in the sun, another is gearing up for launch. I suspect that by the time reviews are out and favorite features are picked, the next game in the series is too far into development to improve upon or even copy those features, and they are either left out or restored only in part. If the developers and writing team can play to Spacey's talents, thee is some hope for all non-nuclear powered villains out there. I really hope that Advanced Warfare is as good as it purports to be. I haven't seen anything from the press releases and trailers that exactly goes out on a limb. 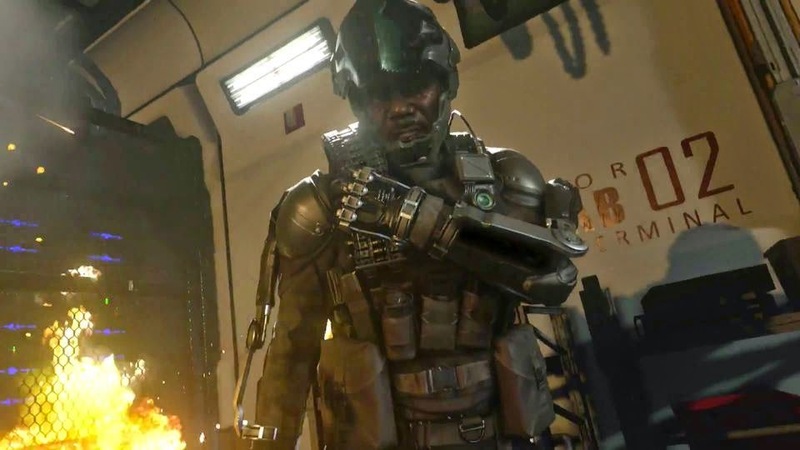 Call of Duty plays it safe for the most part, and I don't expect that Advanced Warfare will stretch too far past those established boundaries. Let's hope that they push them enough to give us something truly memorable.